Your chances of a restful, deep sleep cycle are better the more relaxed you are at bedtime. Meditation is a technique that promotes and encourages relaxation. Mediation can help you reach a relaxed state of mind to help you put your tensions, worries and stress aside before you go to sleep. There are many different types of meditations available for you to use, each with many adaptations and versions. Here is a couple of simple meditation technique that works to promote relaxation. Find a focus point. This can be an object, a mantra (a phrase, usually Hindu, repeated over and over in your mind) or even the sound of your breathing. Your goal is to firmly and continuously bring your mind to whatever you use for a focus point. Push all other distracting thoughts out of your mind. At first, your mind may be easily distracted and you lose focus, but with practice and discipline, it will become easier to focus. Using this method 10 to 15 minutes before bedtime should help you relax and fall asleep. In a quiet room, sit comfortably on the floor with your hands at rest in your lap. Relax and close your eyes. Deeply breath in and out through your nose, trying to focus your breathing. Count each breath as you exhale. Count to 10. Try to clear your mind and only think of counting each breath when you exhale. If other thoughts enter your mind let them go and continue to breathe and count. Repeat several times until you begin to relax. Guided imagery is another form of meditation that combines relaxation and hypnosis as well. In guided imagery, you visualize a relaxed state by following a guided meditation. Your imagination is used to induce peacefulness. Once you complete a guided imagery session you should feel calm and relaxed. Walking through a forest, or along the beach, or being in the mountains are some common imagery. You are guided through the imagery from start to finish. There are many imagery CD’s available for you to choose from, or you can make your own. The visualization usually begins with deep breathing and simple relaxation exercises. Your imagination will come into play once your body and mind are relaxed. In addition to an imagery CD, requirements are a quiet room, a CD player and soft or dim lighting. These are just a few of the techniques for meditation that will help your mind and body relax. 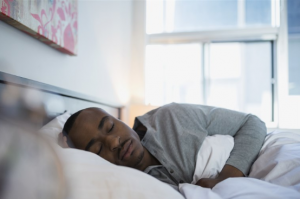 Again, remember your goal is to be as rested as possible as you get ready to sleep. There are many other methods of meditation available, each with many versions and adaptations. You may have to research and experiment and find what works best for you. How People Can Stay Safe While Using Dating Websites? What are some tips for perfect birthday party planning? How To Make The Tent Like Luxury Hotel For Camping?